Take the time to understand the message you are communicating when you choose colors for your brand identity, communication materials, packaging, retail space, office space, business stationery and your packaging. The message color communicates is usually instinctive, subliminal and powerful and they can convey both positive and negative impressions your business. Whether you understand people’s responses to color or whether your choice of color is based on your own like or dislike of a color, you need to understand the effect on your business. Color and its psychological meaning impacts our lives in so many ways – although it surrounds us physically and psychologically every minute of the day and night we tend to be unaware of the enormous impact it has on us. We take color for granted, yet it has a powerful subliminal and subconscious effect on the physical and emotional well-being of each and every one of us. 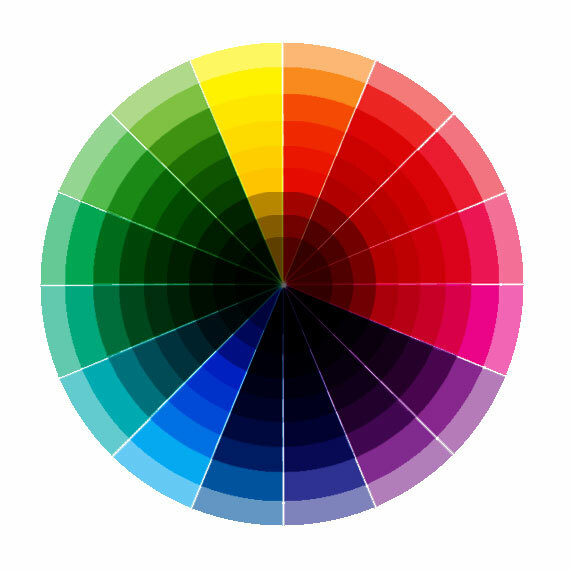 Color stimulates all our senses and as a result it has an effect on all our purchasing decisions. Most purchasing decisions are made emotionally and then justified by logic! So it is essential that you are aware of both the positive and negative impact and response of each color on the emotions. There is no such thing as a bad color, just colors that are more suitable for your particular business purpose in order to get the response you want. The first step in making the best choices for your business colors is to establish who your target market is and then you can match the colors to that market to get the best response. Is your market male, female or both, young children, teenagers, older people, a particular ethnic group, an industry group, or a hobby group? Be aware that colors can have different meanings depending on the culture, the industry and your target market. Also be aware that the buyer of your product may not be the user of your product – in this case you need to target the colors and marketing of the product at the user and target the advertising at the purchaser. By using a number of different colors in your marketing program and taking care with the balance of these colors you can counterbalance and compensate for any negative cultural associations. Of course it is important you maintain your integrity and that of your business and its products or services when choosing colors for your marketing. Don’t use colors that compromise your integrity by suggesting, through association, that your product is something it is not. For example, don’t use blue just because it is the most favored color of all – it may not be the best choice for your business. Green is a color that is now associated with organic and natural products – don’t use it to deceive buyers into believing a product is organic and natural if it isn’t. However, green is also associated with the outdoors and freshness and this may be the message you wish to impart, even though your product may not be organic and natural. Choose your colors appropriately and wisely. Color is subliminal and it can help to establish your brand and your image without even saying a word. Don’t just copy other successful businesses; use the information on the psychological meaning of each color to give your business an individual and unique identity.